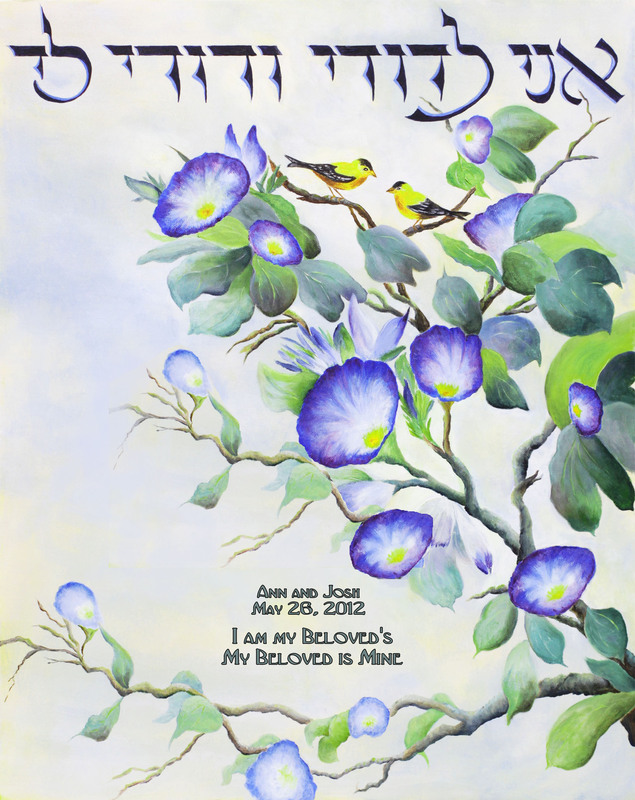 This romanic image of morning glories and birds is a beautiful gift for a wedding, or anniversary, and shows how love is continually renewed with each new day. This fine art giclee print is 12 x 14″ in a double mat. The frame is a flat gold 2″ contemporary molding. This was just ordered for a wedding gift for 2 lovebirds!